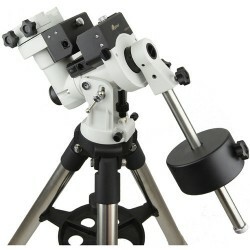 This version of the iOptron CEM25P Equatorial GoTo Mount includes their updated mount, with a heavy-duty 2" tripod, computer hand controller, 32-channel GPS module, AccuAlign illuminated polar scope, and a hard case to safely carry and store the mount head and several accessories. 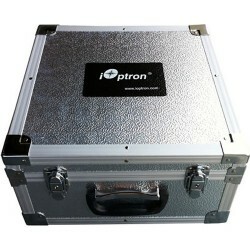 This Hard Case for ZEQ25 Mount from iOptron protects your mount whether you're heading out for a night of observation, or when you need to store it. The case features custom-fit foam padding to hold the mount in place and cushion it from impacts. The exterior has reinforced edges on the outside to help minimize denting and damage. There are dual trigger latches to secure the lid in place, and a carry handle.